The future is now. From self-driving cars to paying with your thumbprint, we’re able to do things now that we could only dream of 20 years ago. One area of technology that has seen wild growth is virtual and augmented reality. 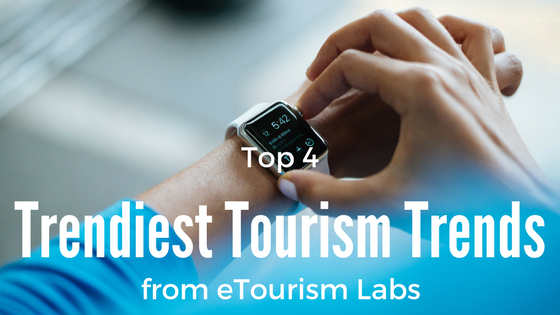 74% of VR users are interested in travel and tourism applications. At the end of 2017, I wrote a blog about my predictions for social media marketing trends to watch this year. Of those predictions, two dealt with virtual reality. So let’s talk more about VR tourism. 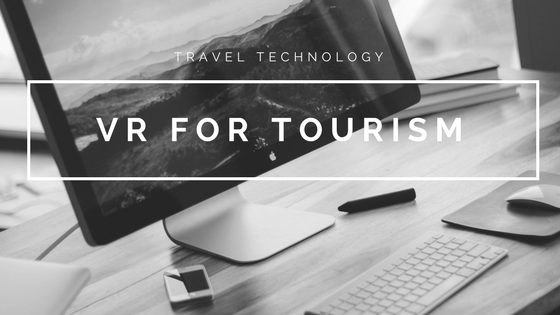 A few weeks ago Nicole wrote a blog on whether travel technology was a disrupter or the new industry norm. (Spoiler alert: it’s the norm.) That got me thinking about how VR has made its way into our lives- without us really being aware of it. These changes also have a large impact on how we travel. In January, I visited One World Trade Center in New York City. It was a stunning piece of architecture- but that’s not what really caught my eye. The World Trade Center provides almost 360-degree views of the city and New Jersey. There’s so much to look at, it could easily be overwhelming. But the World Trade Center counteracts that by offering rentals of a very special piece of technology. Available for rent is an iPad called the One World Explorer. Just pick a compass direction, hold it to the window, and see the names of the buildings you’re looking at. Not only that, but you can also tap on select buildings and watch a short video about the history of that building and what it does now. This was an invaluable tool for myself and my family, and well worth the $15 rental fee. It enhanced the experience by telling me exactly what I was looking at. Watch for this technology to spread in the next year. Other attractions with a view, like the CN Tower in Toronto and the Willis Tower in Chicago, would benefit from incorporating technology like this (if it isn’t already in the works!). The Museum of Natural History has gone one step further and incorporated VR into their app development. Since their Bones exhibit opened in 1881, it has remained largely the same experience- until now. They developed an app called Skin & Bones that works within their exhibit to show you what animals would have looked like when they were alive. Just hold the phone up to the case and voila! You can see what a Steller’s Sea Cow looked like before it went extinct. The app also has interactive games to test your knowledge of natural history as well as educational videos. VR tourism can also take people to places previously unimaginable- like space itself. Startup company SpaceVR is currently in the process of sending virtual reality cameras into space. Their goal is to give anyone the ability to experience space firsthand. While the project is still in testing, you can pre-order a year’s worth of access to the universe for just $35. It’s incredible to think there are people alive today who witnessed the launch of the first rocket and the moon landing, and we can explore the universe from our homes and our phones- thanks to VR tourism. And while I don’t expect to see an uptick in room nights on the ISS, this opens a door that wasn’t built even two years ago. More platforms than ever are integrating VR, AR, or a mixture of both, called mixed reality, into their viewing platforms. Facebook did it first (of course) with their 360 photos, and now YouTube allows VR and 360 videos. You can dive with dolphins in South Wales or take in the view from the top of the Eiffel Tower– all from the comfort of your couch (or desk, if you need a brain break at work).